2012 Honda Fit, the 5-door, 5-passenger Honda Fit is now a bit longer and wider and has added interior space, due to clever fold-flat seats. The Fit also boasts better handling, a more powerful engine and greater safety, front-wheel-drive include a 1.5L four-cylinder engine, automatic transmission. EPA fuel economy is rated at 35 mpg. 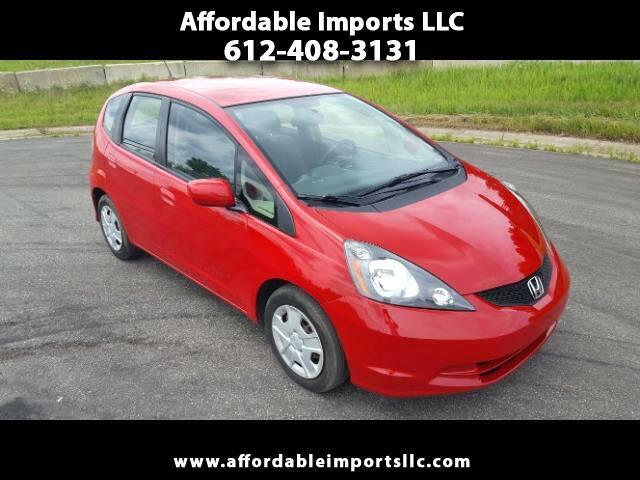 Standard safety equipment for the Honda Fit includes antilock brakes, front seat side airbags, full-length side-curtain airbags and active front head restraint. Accident History. We've got financing available, super convenient with immediate delivery for those who qualify..FOR ADDITIONAL INFORMATION OR TO MAKE APPOINTMENT CALL 612 408-3131. 7751 Hwy 10 w #8 Ramsey MN 55303.